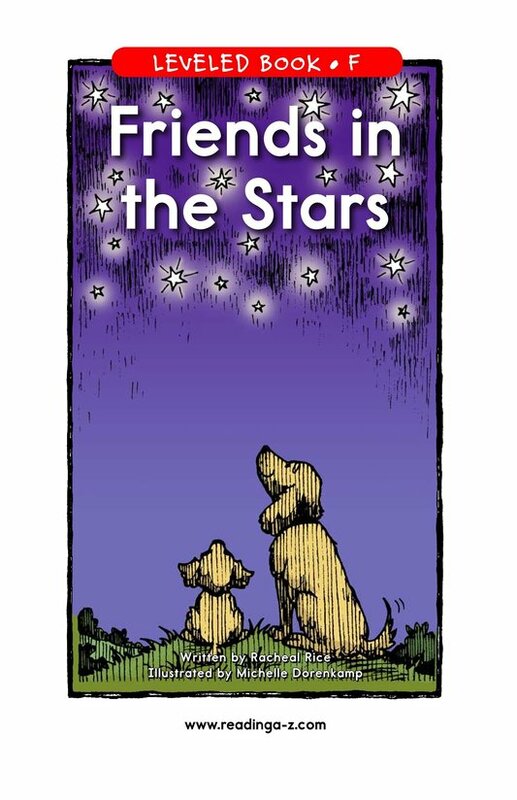 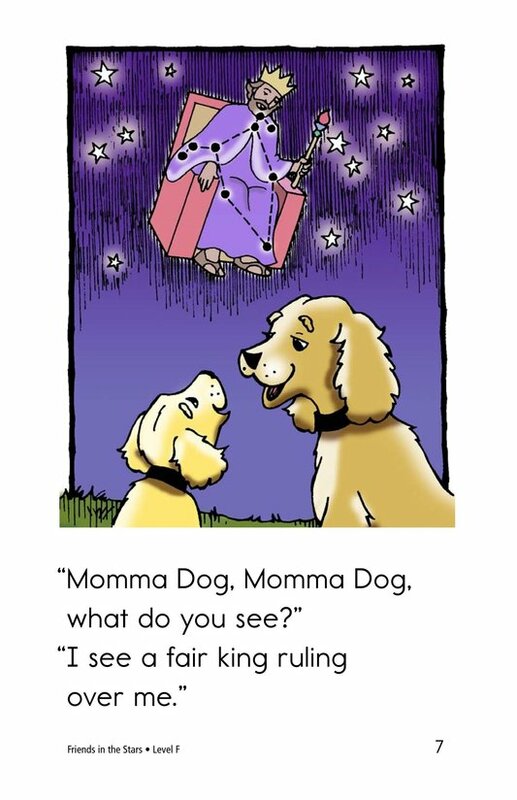 In Friends in the Stars, a mother dog and her pup play a game with the stars while sitting in the backyard. 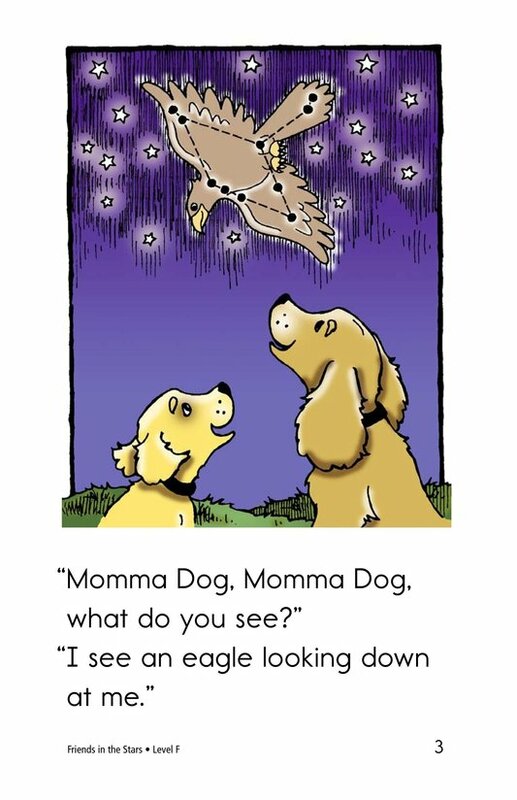 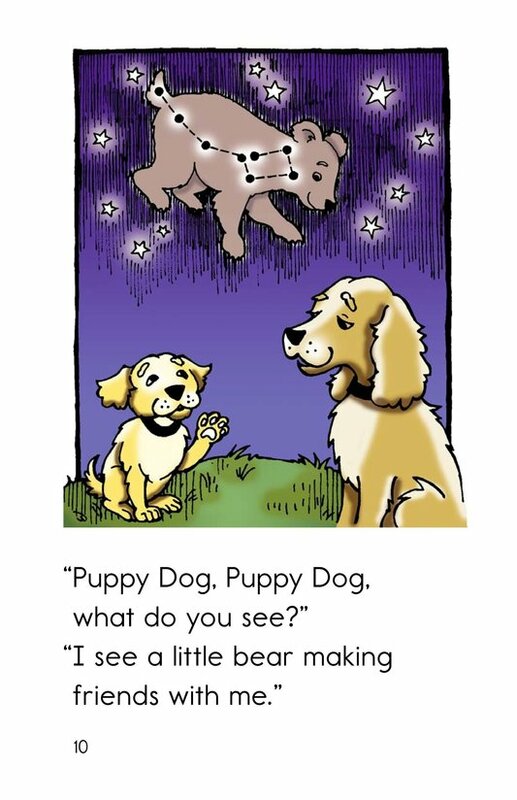 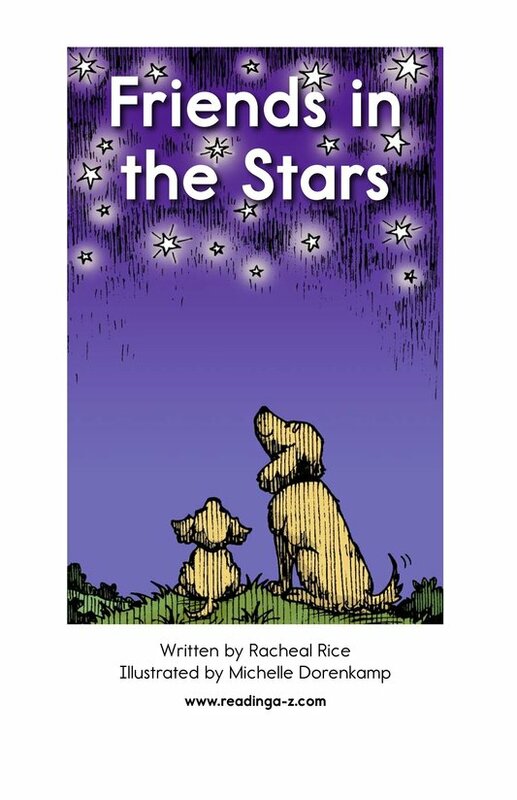 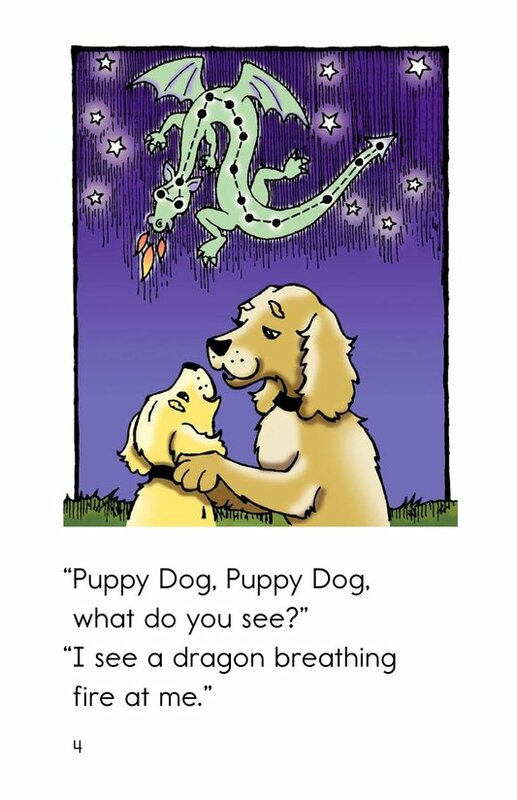 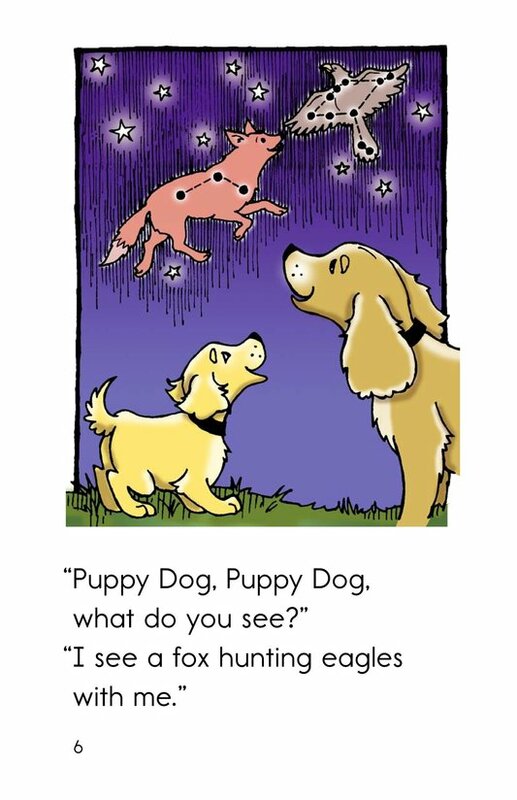 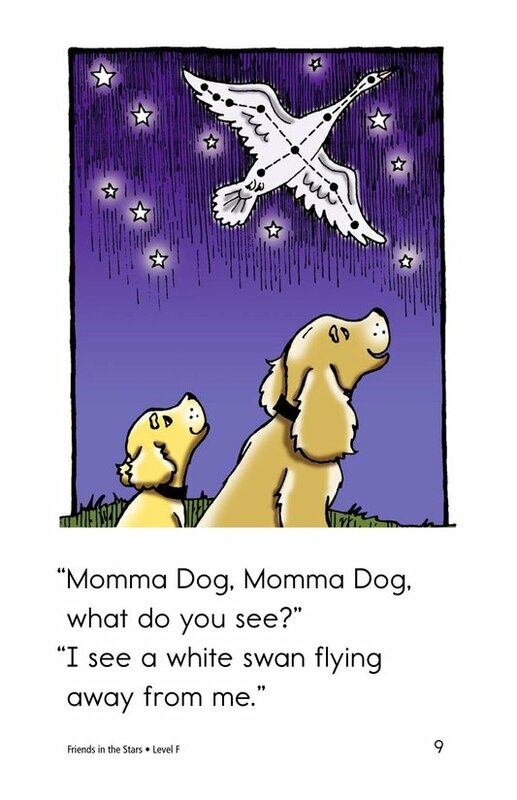 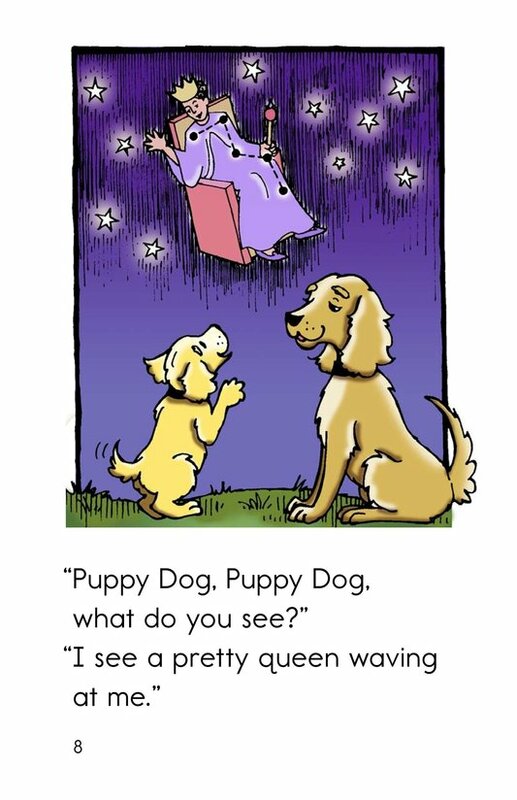 Students will enjoy connecting the dots (stars) on each page to reveal the different pictures Momma and Puppy are seeing in the stars. 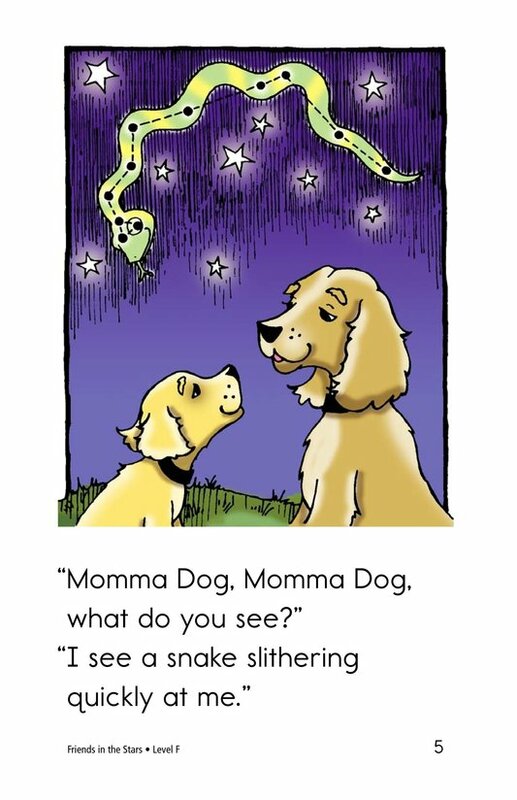 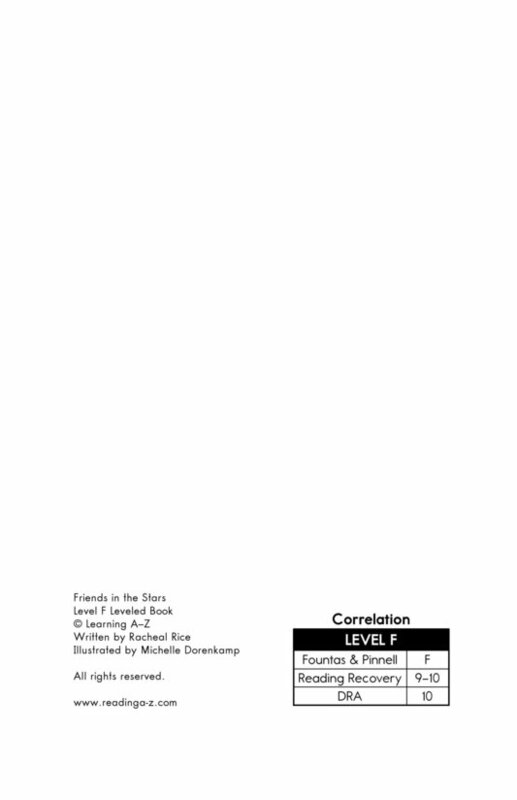 Along with creative illustrations, early readers are supported by high-frequency words and a repeated phrase throughout the story.